We've got some winter reading for you, in the form of 2019 plans and 2018 number-crunching! It's worth having a look through them all, especially if you compete in the Lotus League and other events that use the Mylaps timing system. 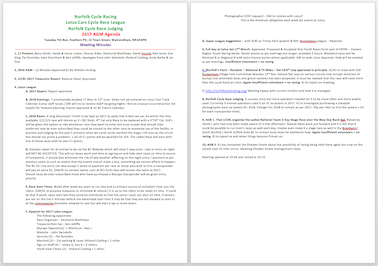 Email Ken (cyclingken8@gmail.com) with your feedback. 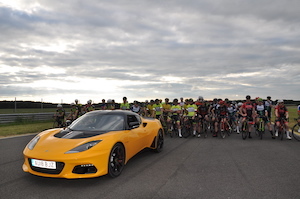 Ken has finished working out the cash balance for the 2018 season of racing at Lotus, and has produced a lavish prize fund for a great many of the riders. If you're on the list then Ken will be in touch shortly. Racing will start at 7pm. 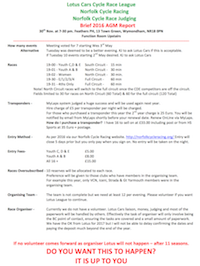 We should be able to hold the race fees the same as last year. Entry will be handled here, and payment will be taken on the night. 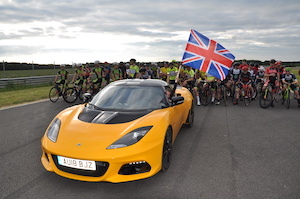 Des Matthews – Lotus employee and the "man on the gate" for the past few years - will be the organiser. Please consider helping out at one or more events; see the Lotus League Helpers page for more info! The Lotus Cars Cycle Race League 2017 Minutes are now available to download. Many thanks to everyone who was able to attend the AGM on November 7. You can download the report (PDF format) here. 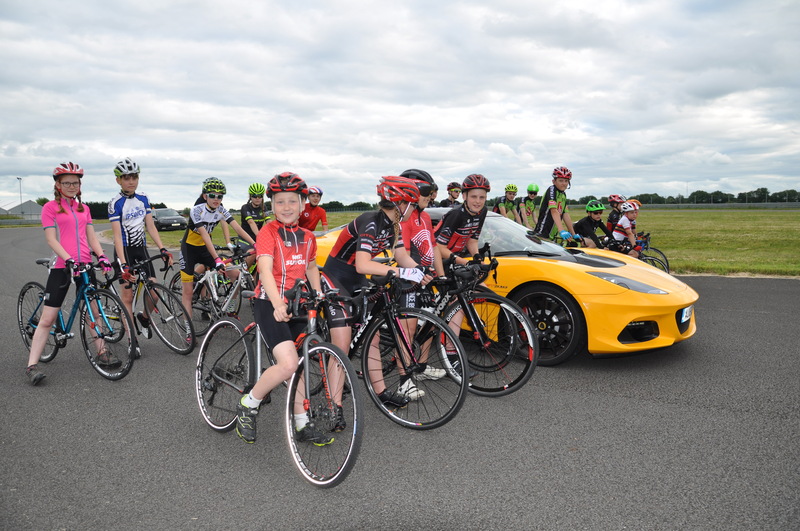 Sat 14th July – Old Buckenham Fete Road Race – National B over 75 miles or 8 laps of a 9.7 mile circuit. It will not be Norfolk’s Paris – Roubaix, but should it go OK next year and you agree steps can be taken to change a bit for 2019. A new almost flat circuit with long exposed straights – should make for an interesting race. Old Buckenham will make the decision in Jan if they are going to have a fete next year. Should they decide against it then the race will swap to a new circuit at Croxton just outside Thetford. 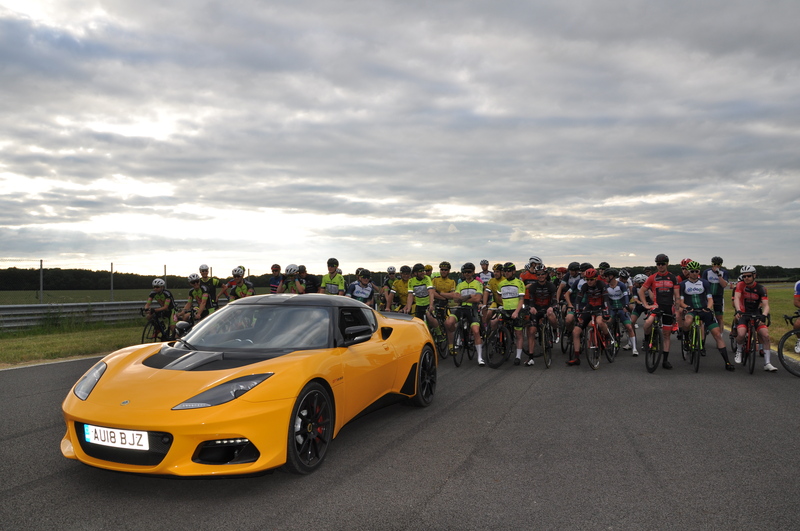 The Lotus Cars Cycle Race League 2016 Report is now available to download. 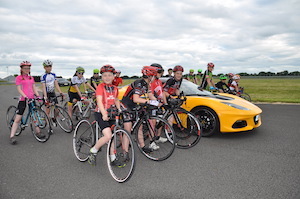 MyLaps was judged to be a huge success, and online pre-entry worked well too. Both systems will continue to be used again next year, and only riders who have pre-entered will be allowed to race on the night.